this is the drive to work in a local taxi. I should have kept the camera running as he overcharged me and wanted me to use him every day to & from work. the drivers always ask this. they ask how long you're here for then tell me they'll give me their number so I can call them. the previous 2 nights it's cost Rs50 to drive home - in peak hour traffic in a local taxi. this ride cost me Rs250. but I got a handwritten receipt from him. I forgot to ask / check that the meter was running. usually if the driver doesn't try to rip me off I give them more money, just for being nice. I shouldn't complain too much, Rs50 is about $1.50 and $250 is $7.75 so both are very cheap, it's just the multiplication factor - this morning's taxi driver was 5 times as expensive! when I was in Turkey/Istanbul, tea was called cay & pronounced the same as chai. so it's interesting to see the commonalities in language / phonetics too. I actually recorded this video on 09/11/2008 but it was a large file and my computer's been playing up during exporting so I've only had time to compress it tonight. these are the books I purchased at Mid Land Book store whilst in Delhi. I always buy the annual Sarai Reader - a collection of research papers & project documentation from India and around the world. they always have something that I'm not familiar with - different issues are covered - urban issues, social issues, resettlements, voices of local people, keeping or documenting traditional methods in art & social / community circles + more. the books are available online as pdfs so I've read some of the chapters but I like to have a paper copy as I find them easier to read. the bookstore owner recommended other books for me to try - mostly feminist books & topics! there were so many that looked really interesting & informative, but I chose one from each publishing house so I can buy more later. some were part of a series on varying topics. I'm part way reading through the interviews with women writers & the short stories & the tamil pulp fiction books. yet to start the others - it might take me a while to finish. so far they're all great purchase choices! the interview book is especially interesting as it seems there were many topics that women were 'not meant to write about' in india up until, say the 1990s. I might have to find a collection of younger writers to compare with - though I note there's been quite a few younger Indian writers winning or being nominated for various international writing prizes. Knitta began in August 2005, when the soon-to-be-Knittas were discussing their frustration over unfinished knitting projects: half-knitted sweaters and balls of yarn gathering dust. That afternoon, they knit their first door handle. 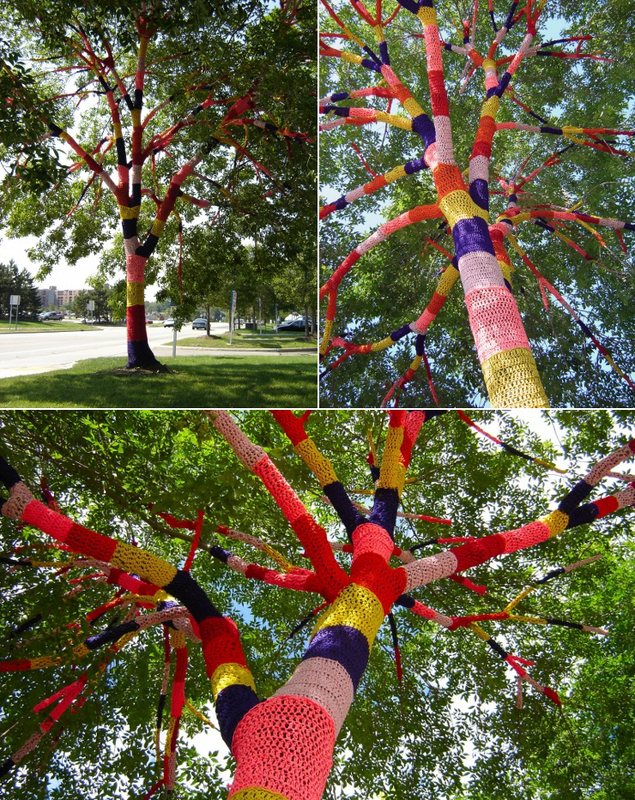 Then it dawned on them ... a tag crew of knitters, bombing the inner city with vibrant, stitched works of art, wrapped around everything from beer bottles on easy nights to public monuments and utility poles on more ambitious outings. With a mix of clandestine moves and gangsta rap - Knitta was born! Today, Knitta is a group of ladies of all ages, nationalities, and ... gender. - thanks Avital for the links! I wanted to find out more about this artform and technique, so I googled (without much luck, due to googling the wrong things) and asked the Sarai reader list and received lots of helpful information from many people. after reading about it, it reminds me a bit of the multi-media of a few hundred years ago. multiple paintings / panels on scrolls are read and music played whilst they're read, so there's a mixture of images, music, text, written / spoken word. the artists travel to different villages - equivalent to the communication methods / networks of today transmitting the multimedia messages & works. originally the works were made on cloth using vegetable based paints but these days modern paints are used and most works are done on paper. I hope the traditional methods are not lost completely! the style of painting comes from Orissa and West Bengal. modern artists use both traditional, classical topics as well as current topics & stories - they are trying out new variations of the art too, to keep the method alive and to learn new techniques & skills. Mike Ambs on vimeo vlomo group made a video in response to this picture. 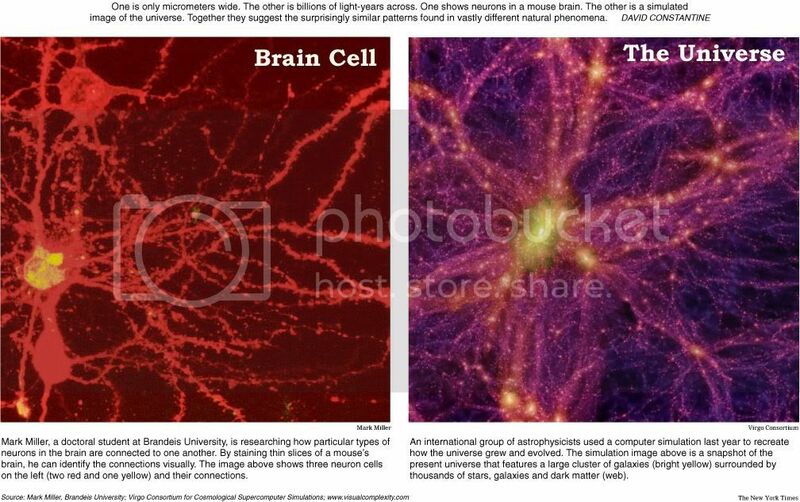 the images sort of remind me of fractals ... is the brain modeling the universe or the universe modeling the brain??? and speaking of the galaxy - google SKY !!!! the idea is to post one video each day in November. it doesn't have to be fancy - just as long as it moves. sometimes it's hard to post every day, but you can always catch up later. it's good to capture what was happening during November each year. I've found it interesting to look at the previous year's videos / blog entries - I was traveling then too but in different countries so it seems many of my videos are along similar themes. this section of the site has my videos. they can also be found in the VloMo08 category on www.aliak.com. Dhobi Ghat is a public outdoor laundry where clothes of the local people and hospital & school laundry is done. it's cool to watch - hard work. I asked if the women do this too and he mentioned they wash on other days but that it's heavy duty work so is mostly done by men. it's one of the icons of Mumbai. it's next to a train station where you can see the old trains with people hanging out the doors on weekdays - another iconic image of Mumbai. VloMo08 : day15 - Dhobi Ghat Mumbai - public laundry from kath on Vimeo. the only place I've seen clear skies whilst in India this trip has been whilst flying above the clouds. often when you're above the clouds you can still see glimpses of the ground whislt there's still light - but the Delhi - Mumbai flight I took 14/11/2008 had a constant thick blanket of smog. another thing to be lucky for - back home the skies are so clear and blue. this is going into winter in India so there's usually less blue skies, but the smog seems heavier than I remember from 2006 - perhaps I've been away too long. Mumbai airport is really nice - I thought I'd taken a video but can't find the clip. the hotel I'm staying at is not far from the airport and has an amazing, grandiose foyer - each room opens to the foyer. it's the Intercontinental "The Grand" Hotel. owned by a wealthy, prominent Indian family / company - when you turn on the tv you see a documentary about the owner's life & the story of how he built hotels, and manufactured cars + more. tap water in Delhi - it looks the same as home but I get sick if I drink any of this. they have free bottles of water to drink & brush your teeth with at the hotels. the hotels have extra filtration systems, but I'd rather not risk it. in Delhi water trucks drive around the streets and people take plastic bottles & buckets to fill up once a day. in some villages / hutments (slums) the communal tap only works for an hour or so twice a day - early in the morning or later at night. whilst India gets a lot of water in monsoon season - some cities flood - there's problems with the quality of water. in people's homes there's usually a water filter for a special drinking tap separate to the main water feed. so whilst at home we take it for granted that the water from the tap is safe to drink, in some places it's a luxury. VloMo08 : day13 - Delhi tap water from kath on Vimeo.